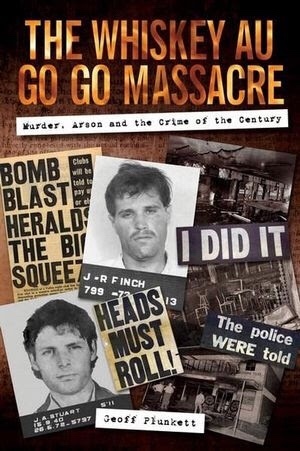 Get ready for an extraordinary read with this in-depth account of the 1973 fire know as the Whiskey Au Go Go nightclub massacre where 15 people were murdered. This horrific event happened in Brisbane, Australia and has remained one of the country’s most talked about and shocking crimes. For many years Queensland was a corrupt police state. There was fraud, organised crime and injustices on a large scale. What was always known and reported was that two men were arrested and convicted for that arson attack and mass murder. Author Geoff Plunkett is the first person to view the files created by the lead detectives in this extraordinary case. Plunkett is a noted researcher and historian for Australia’s Department of Defence. This book details never-before-revealed aspects of the investigation and transcripts of interviews. There’s also details about that innocent 15 people who died at the nightclub, building the picture of the absolute tragedy and outrage of this crime. The inquest into this crime could still be reopened. Published by Big Sky Publishing.